Modular vs Manufactured Homes: Is One Better Than the Other? Today, the standard home market is losing favor as rising costs of living, reduced tolerance of waste, and desire for greater flexibility is upending desire for the traditional building methods we once left unchallenged. 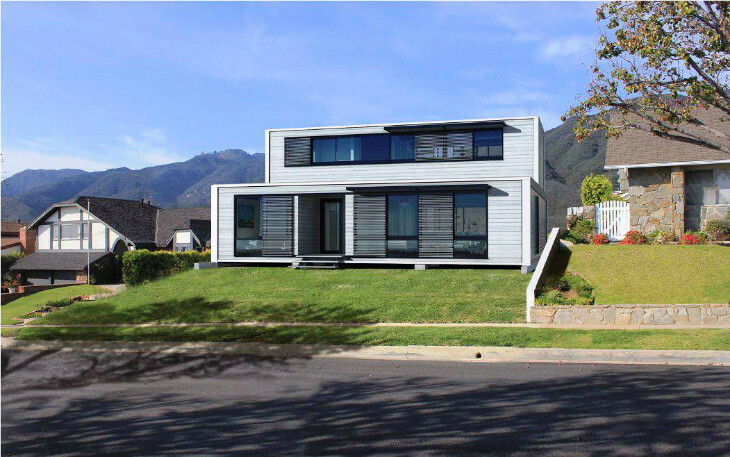 Demand for alternatives is helping to fire the manufactured vs modular homes debate. People are looking to these alternatives for different reasons. Some people want more mobility in their lives while many want to live more simply. Others want to live away from the set locations modern towns and suburbs set down for us and just live where they want. The one common factor is money: why should we have to spend so much of it in such an established set of options? Shouldn’t we be able to have more control of the design, size, or location of our homes? These new questions for the traditional housing market are fueling a backlash against it that has possibly set the stage for a large increase in manufactured and modular homes. But what’s the difference and would either of them really help satisfy these different groups of independent people with independent goals? Before going into the specifics of each type of home, let’s take a little time to talk about how these house options have gained their place in the modern real estate market. Both construction styles have roots in 20th century desires to apply mass production techniques to housing and provide alternatives to traditional housing. From the mid 1950s on, manufactured housing began to compete with traditional housing on the basis of efficiency and cheaper costs. They were marketed as “mobile homes” because of their wheels but because of their bulk, they rarely were moved from where they were first placed. The boom in manufactured housing reached a peak in the 1960s and 70s as some have said one manufactured home was produced for every three traditional units during this time. By the mid 1970s, however, the image of mobile homes was less appealing, chiefly because original buyers found they would lose instead of gain value over time. 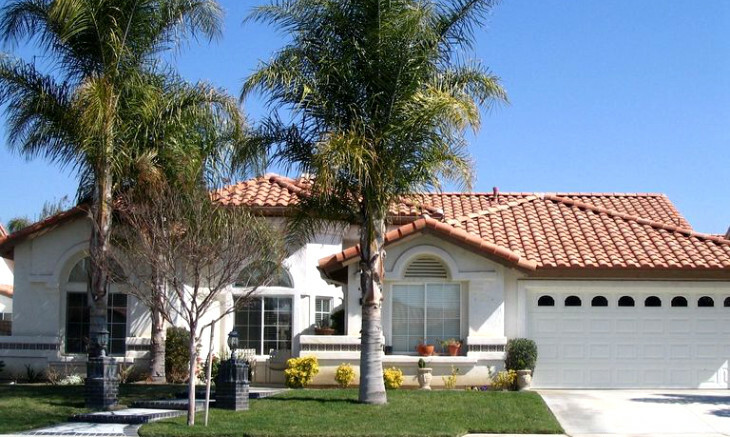 Consequently, they were seen as bad investments for home buyers and lost favor. Today however, manufactured homes are reverting back to their original purpose of providing an alternative to the established housing market and gaining some traction once again. Modular homes have roots in the mass production techniques of the 20th century as designers saw them as potential solutions for workers’ housing. Modular homes first saw widespread construction in Europe after World War II when they were known as “pre-fabs” because of their prefabrication in a factory. As much of the housing stock was destroyed by the war, modular homes offered a quick way to rehouse those bombed out or returning home. Many can still be seen in suburbs there today. In the US the housing industry adopted many prefabricated techniques, most famously in the Levittown developments, to speed up building times, but modular building itself did not catch on. Instead, modular homes became associated with mobile homes and as these lost popularity modular home building’s perception suffered with them. 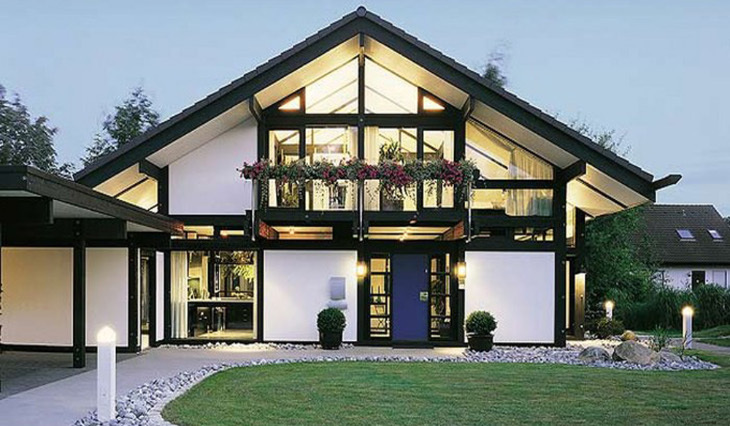 With the advances of Computer Aided Design and growth in pre-fabrication facilities in the last decade, however, demand for modular homes is growing in both Europe and the United States. To begin answering how these two types of home differ from each other we should first explain what both modular and manufactured homes definitely are not: traditional. 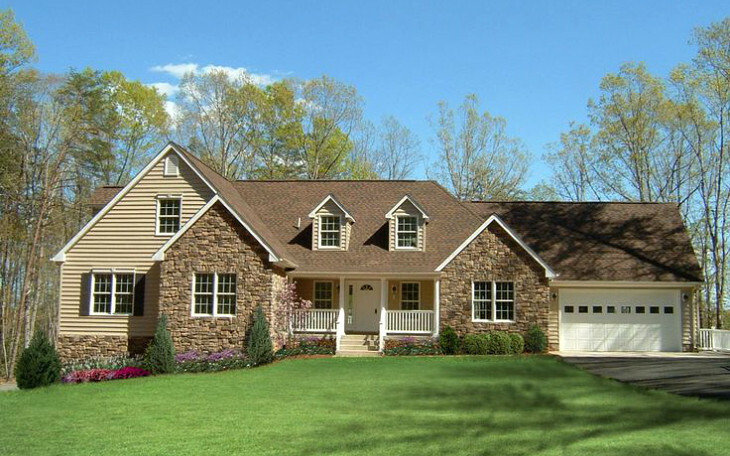 Traditional homes are more commonly called “site built homes,” basically meaning exactly what it sounds like: they are built on-site and require more time and labor to do so. What Are the Big Benefits Against Traditional Builds? The largest single difference between traditional and manufactured and modular options is how they’re built. Traditional homes are built on site from the ground up. 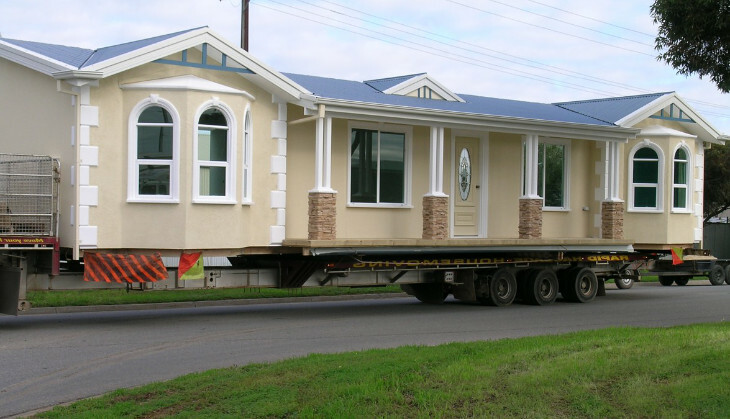 Both manufactured and modular homes are built in a factory and then transported to site via hitched connection or flatbed truck. Labor Complications: they are produced by a single company with fewer workers leading to less complications, delays, and general problems arising from miscommunication and disagreement between different teams such as carpenters, roofers, electricians, etc. So what’s the difference between manufactured and modular? Manufactured homes used to be known as mobile homes or trailers. They can come in one piece or be split into two or more joinable pieces. They must follow the Manufactured Home Construction and Safety Standards Code, called the HUD code, instead of the state and local codes where they are being placed. Often erection is done with pre-built sections towed to the building site on their own wheels that are joined at their destination. 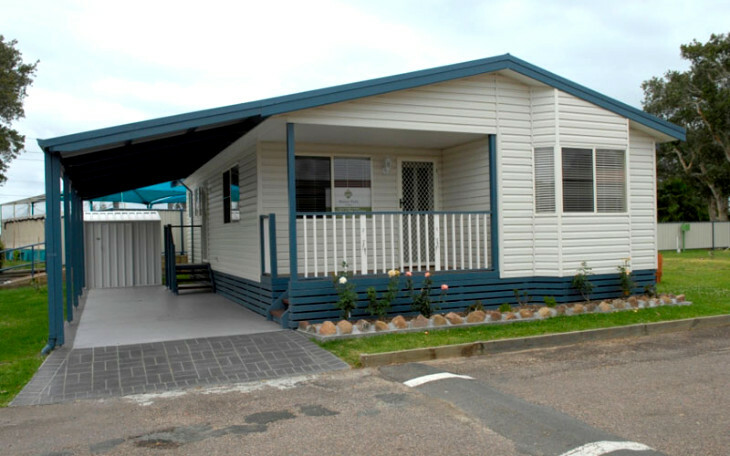 Modular homes are often known as pre-fab homes because they are prefabricated in factory and then erected on site. Their main difference with mobile homes is that they must be erected upon a fixed foundation (either a crawlspace or basement) and do not rest upon a wheeled steel chassis. 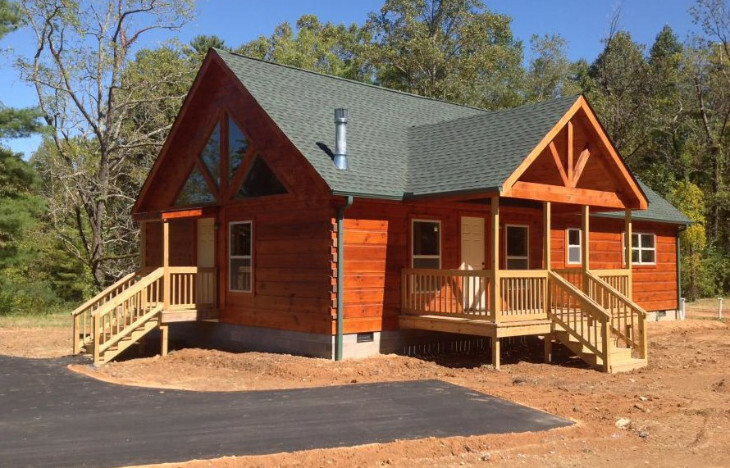 Why go for a manufactured or modular home? The obvious answer is that both manufactured and modular are far cheaper than traditionally built homes and provide far more flexibility, but each have their distinct advantages as well. The chief benefit of manufactured homes is the affordable costs compared even with modular homes but especially to those of traditional homes. Ease of set up is another appealing factor. 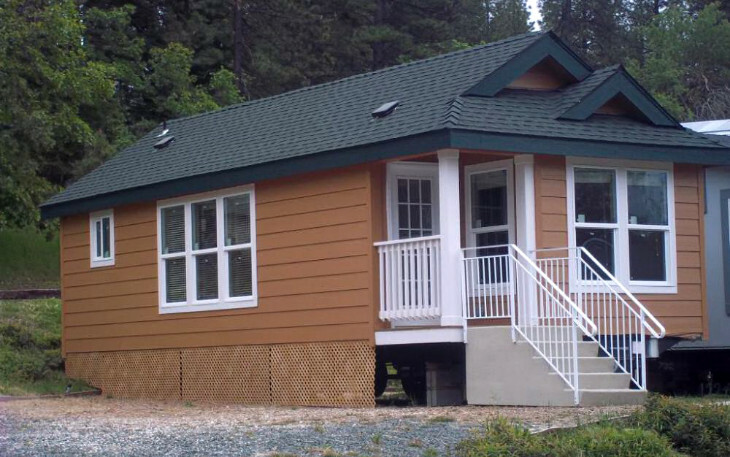 Manufactured homes only need to be placed on site and hooked up to water, electricity, and gas. Cost overruns and contractor nightmares are unheard of. Believe it or not, manufactured homes are also more environmentally friendly than most site-built homes. 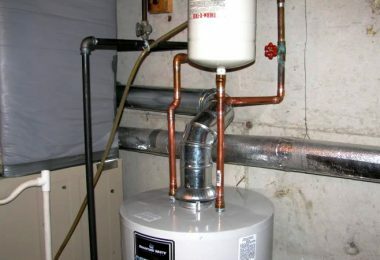 Today’s models are far better sealed and more airtight than older units leading to less energy use. 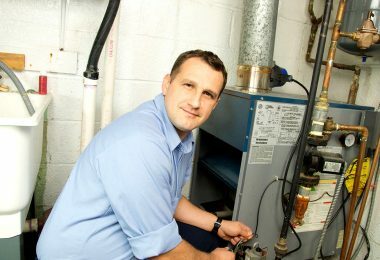 Many also come equipped with ENERGY STAR appliances that further reduce use. 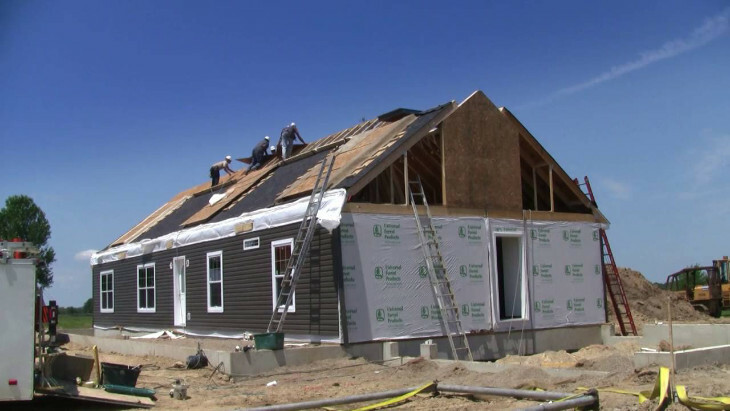 Manufactured homes also use far less waste to construct than traditional homes. 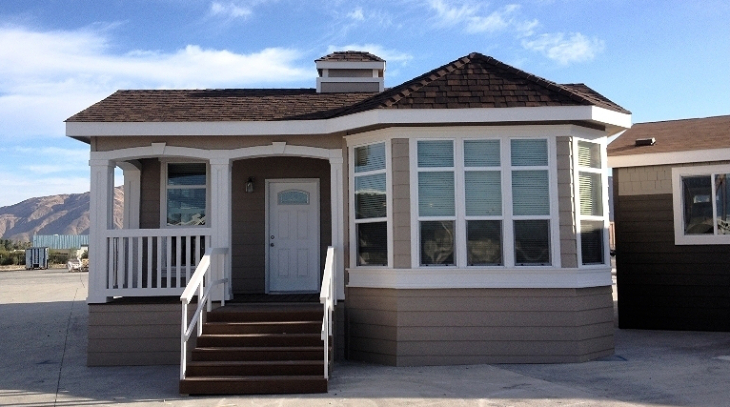 Manufactured homes remain a great option for those who wish to have greater mobility. Although they are no longer referred to as mobile homes, they still sit upon a movable chassis that can be removed to a new location. Wheels are typically removed when the home is placed but can be reattached when it is moved again. While moving a large and heavy object like a manufactured home is not the same as driving an RV and cannot be done as easily or as cheaply, placing them in a location as a semi-permanent vacation home is another great selling point for manufactured units. Far from the old trailer park stereotype, many communities of manufactured homes are indeed actual communities that can serve specific groups such as retirees or vacation homesteaders. 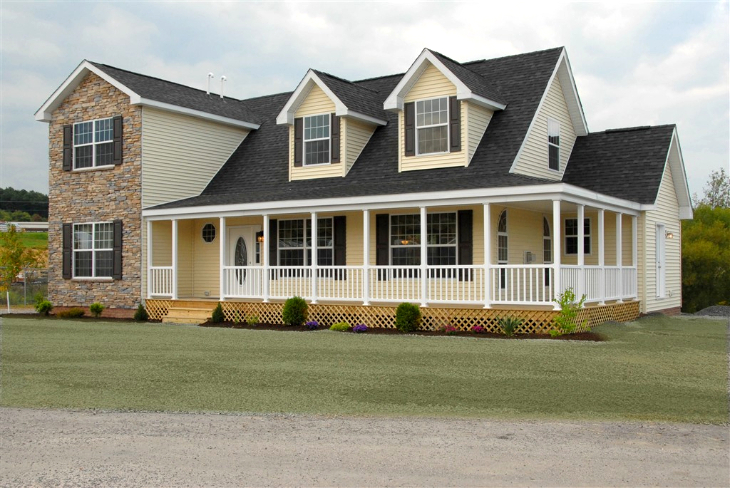 Modular homes offer all the benefits of site-built homes while reducing costs, confusion, and time to move in. 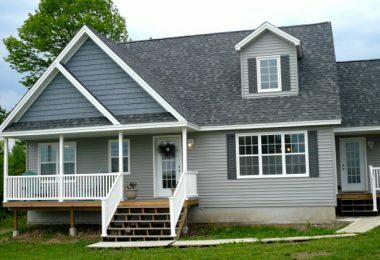 Many would also argue that modular homes offer more quality assurance because they are constructed by the same team and inspected before delivery to assure they meet standards. 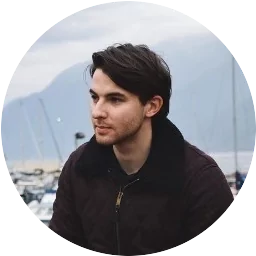 When joined together, the simplicity of connections can be a good rather than a bad thing as it leaves less room for error and demands greater precision. Modular homes often meet the demands of difficult urban environments better than traditional builds with their light construction footprint and quick erection. 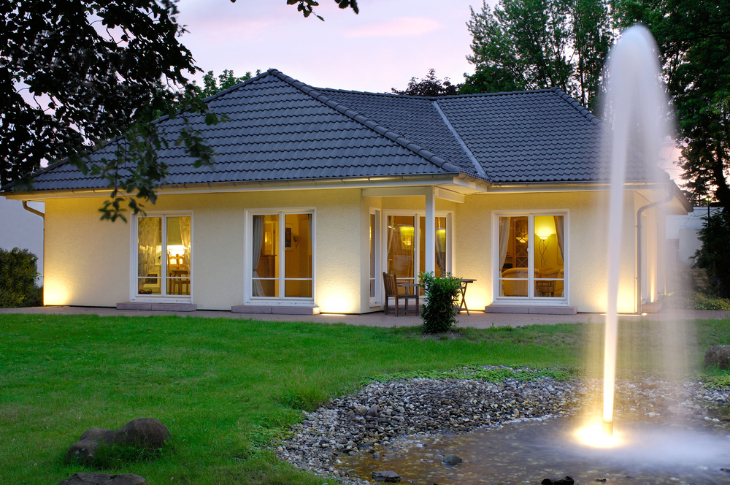 However, it is important to note that manufactured homes are usually restricted from urban environments. In particularly tight sites the nightmares of conventional construction and transport are largely eliminated. Their pre-construction in generous factory spaces takes care of all that. In regards to financial flexibility, the lesser costs associated with modular homes can offer some the ability to place their eggs in different baskets in different areas. This also gives more mobility to those that prefer to live in different places throughout the year because of work, weather, or other reasons and avoid the long term costs of rental space. Alternatively, even for those who tend to stay in one place, multiple properties offer rental opportunities that can make back the entirety of the investment with time. Finally, for people wanting to live or vacation in more remote locations, modular homes avoid the labor difficulties of constructing in under-populated areas where labor is more expensive or less available. This also helps for construction in extreme weather environments such as Northern climates with heavy winters r.
So what are the costs of these new options for the building market and how do they compare to more conventional building? New traditionally built single-family homes cost an average of $83.38 per square foot, according to the 2010 U.S. Census. Modular homes today usually cost around $50-$65 per square foot. This adds up to quite a difference in final costs. While quite a bit cheaper than traditional homes, modular homes also require the same foundation their conventional counterparts do. Yet although foundation costs are similar for both, above ground modular construction remains much less expensive. And once erected and finished, it is often very hard to distinguish between the two. They’re both solid, reliable structures and will appreciate value with time in the same manner. The US Department of Commerce has listed the average price of manufactured homes as $64,000 per housing unit in 2013 compared to $269,000 for a newly constructed single family home in the same study. This affords for even more savings from traditional building, but keep in mind that any loans needed to purchase a manufactured unit will be harder to get and considered riskier by banks, which often leads to higher interest than normal housing loans. 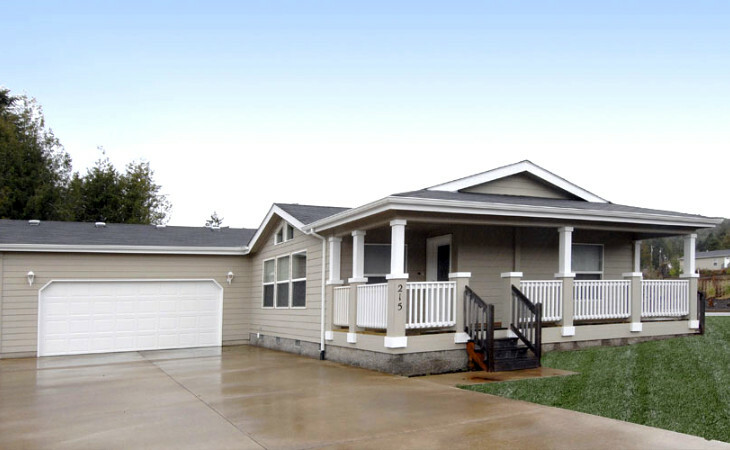 Another bonus in a manufactured home purchase is that it often does not require the construction of a foundation. This keeps costs lower compared to modular homes, but it is also one reason why they are harder to finance and insurance can be trickier. In bad weather climates the lack of a foundation can also present dangers, but if a foundation is built or the home is anchored to the ground these are largely normalized. A home is something you buy for the future so it is important that you take some things into account so that there are no surprises down the line. A major downside of manufactured homes is their depreciation over time. Often banks and lenders view them as vehicles rather than homes and they lose value in the same manner. Like vehicles however, new manufactured homes come with warranties and these are important to inspect carefully to see what they cover. 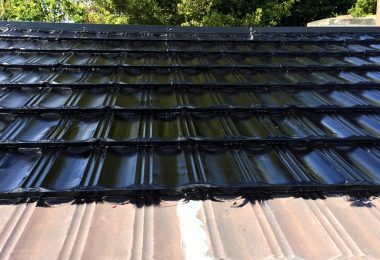 Look to see what is not covered by the warranty, who pays for what, how long it lasts, and what can void the warranty (such as if the installation site is not properly prepared). Another thing to keep in mind with manufactured homes is the hostility with which they are received in many places. Many communities refuse to allow manufactured housing inside because of fear it will lower the value of adjacent homes. They establish covenants to restrict the type of builds to exclude manufactured units. This is important to keep in mind when purchasing a manufactured home and considering moving one to a new location, so it is wise to review the zoning codes of your desired area. Although they at first suffered from stigma related to manufactured housing, modular homes rarely face the financial difficulties of acquiring loans and insurance that manufactured counterparts do. Similarly, beliefs that modular housing is less strong than traditional builds have proven unfounded. FEMA concluded after Hurricane Dale in Florida that, like brick, modular housing actually fares better than conventional wood framed homes. With these psychological hurdles increasingly out of the way, modular homes can be seen as virtually equivalent to site-built neighbors and should gain or lose value in the same manner. Apart from typically being more structurally sound, modular homes also provide far greater protection against mold, mildew, rust, and other risks for health problems because all of the construction process and storage of construction materials is done indoors within a controlled temperature. One disadvantage that should be considered with modular homes however concerns the limitations placed on design from the nature of transport. Most states restrict the maximum width allowed to be transported down their roads, which means that the width of the home will have to conform to these restrictions. While modular homes can be assembled in pieces, this also has an impact upon the size of rooms inside that can be less open than conventional homes. Deciding which is the best option, whether it be manufactured or modular, really depends on you and your needs. Both come with distinct advantages that will suit different circumstances. The clear winner however, is all of us. 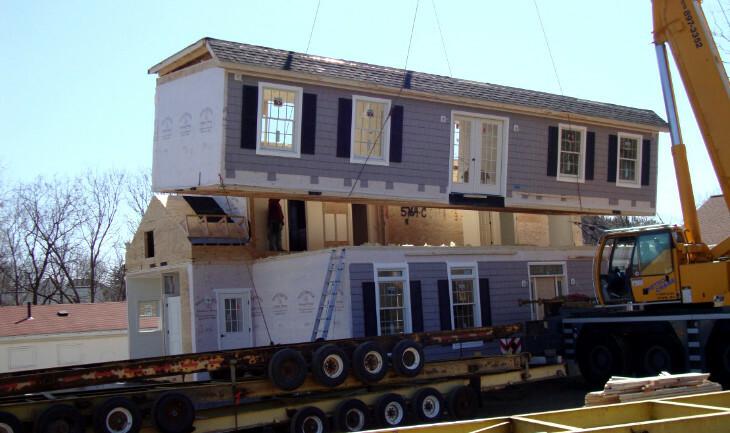 Manufactured and modular homes have a long history of development to challenge the traditional housing market. Now, in our post-financial crisis times they are providing choice and flexibility badly needed in today’s housing sector. They’re doing this through efficiency in time, material, structure, costs, and reliability in construction. With lifestyles and personal goals changing, with rising housing costs in many parts of the country, and with an overall tiredness with the old and regimented vision of home owning in America, this challenge is needed more than ever. Whatever your needs may be, whatever alternatives you may desire, the answer you seek may be found in a new manufactured or modular home. Which do you prefer? Modular or manufactured homes? After reading this, have you been swayed one way or the other? Let us know what you think so we can continue to fuel the debate.